In America, we like things BIG. The bigger the better. Go big or go home! Apparently that’s beginning to affect the size of our animals as well (see: here and here for starters). 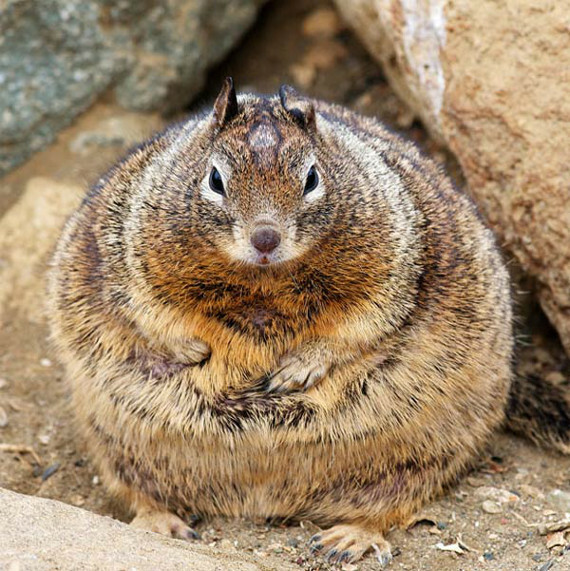 This is presumably the world’s fattest squirrel. It’s a lady squirrel who lives at the Morro Rock State Preserve in California. She’s twice the size of what she’s supposed to be. Damn, girrrrl — you must be nuts for nuts! I assumed that her morbid obesity was a result of her own eating habits, but it turns out it’s because of humans. And not just regular people, but tourists, who are like, the worst kind of people.